Astronomers have discovered a Jupiter-sized planet – 163 light-years away – that seems to think it’s a comet. It has a prominent “tail” of helium gas. Artist’s concept of exoplanet WASP-69b, thought to orbit its sun with a comet-like helium tail trailing behind. Image via Gabriel Perez Diaz/IAC. Planets and comets are two quite different things. Planets are massive enough to have strong-enough self-gravity to have pulled themselves into the shape of round balls. The cores of comets are tiny in comparison; they are small chunks irregular of rock and ice, whose characteristic long “tails” of gas and dust only appear as they swing in near the sun. Planets don’t typically have tails as comets do … except that now astronomers have found one that does. 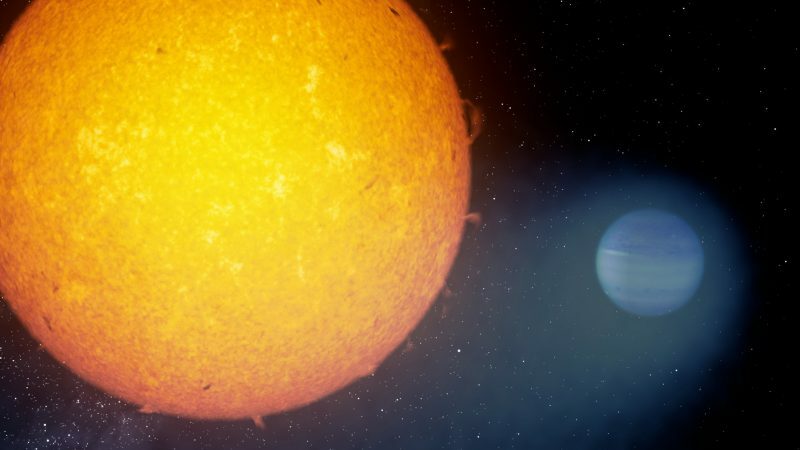 Scientists at the Instituto de Astrofísica de Canarias (IAC) in the Canary Islands have shown that the giant exoplanet WASP-69b has a comet-like tail made up of helium particles. The new results were published on December 6, 2018 in the peer-reviewed journal Science. The helium particles in the tail of WASP-69b are escaping the planet’s atmosphere due to pressure from ultraviolet radiation from this world’s star. The tail trails behind the planet as it orbits its star. WASP-69b is a gas giant planet 163 light-years from our sun. It is about the size of Jupiter, but with a similar mass to Saturn. How did astronomers make this discovery? When they observed the planet transit in front of its star, they noticed something interesting. “We observed a stronger and longer-lasting dimming of the starlight in a region of the spectrum where helium gas absorbs light. The longer duration of this absorption allows us to infer the presence of a tail. This is the first time we can actually observe a helium tail. Before, it was assumed that if helium is in the [outermost atmospheric layer of a] planet, it might escape and form a tail. 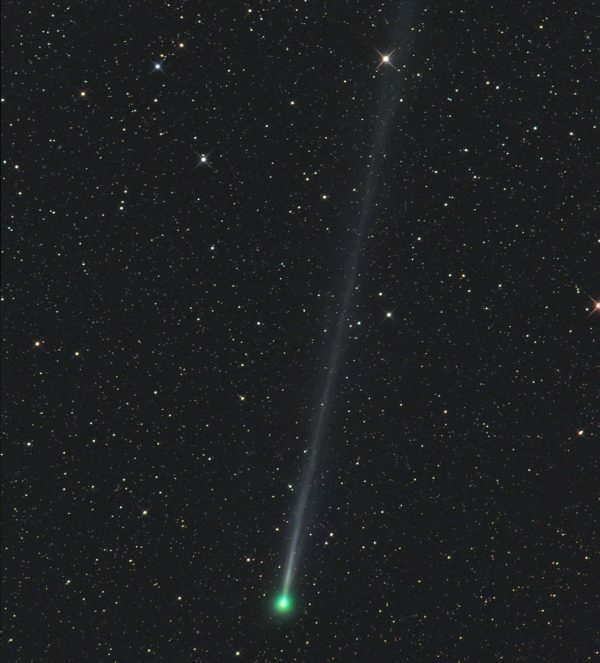 Comets – as in this view of comet 45P/Honda-Mrkos-Pajdušáková, which zipped past Earth in 2017 – are famous for their beautiful long tails. The tails can be millions of miles long. They are made of dust and gases. Image via Gerald Rhemann/NASA. 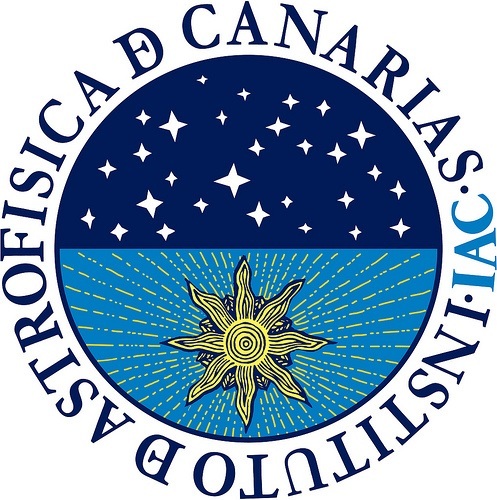 The observations were made using the CARMENES instrument – a spectrograph – on the 3.5-meter telescope of the Calar Alto Observatory in Almería, Spain. The spectrograph simultaneously covered both the visible wavelength range and the near infrared range at high spectral resolution. THerefore it revealed the composition of the atmosphere of the planet, and the astronomers were able to determine the speed of the helium particles that leave the gravitational field of the planet and the length of the tail they produce. How cool is that? Apparently even planets can sport tails, if conditions are just right. The new paper also announces some additional results in addition to the planetary tail. Four other exoplanets were also studied in the same way – hot Jupiter exoplanets HD 189733b and HD 209458b, the extremely hot giant planet KELT-9b and the warm Neptune-sized exoplanet Gliese 436b. Surprisingly, the last three of those planets also have helium exospheres, which is unexpected. HD 189733b is absorbing helium, but the helium envelope around the planet is more compact and does not form a tail in this case. All five planets were also observed using the European Space Agency’s Multi-Mirror X-Ray Mission (XMM-Newton). In 2011, the Neptune-sized exoplanet Gliese 436b had also been found to have a tail – shown in this artist’s concept – composed of hydrogen. Image via NASA/ESA/STScI/G. Bacon. WASP69b isn’t the first exoplanet to be found with a tail. 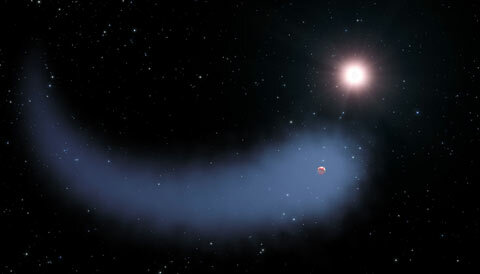 In 2014, astronomers discovered that Gliese 436b – about the size and mass of Neptune and 30 light-years away – appeared to also have a comet-like tail, but composed of hydrogen instead of helium. While such planetary tails may not be all that common, that discovery – and now the new one – shows that they can occur. Bottom line: Comets are famous for their beautiful, long, glowing tails. New research confirms that even planets – like WASP-69b – can sometimes have tails, too.